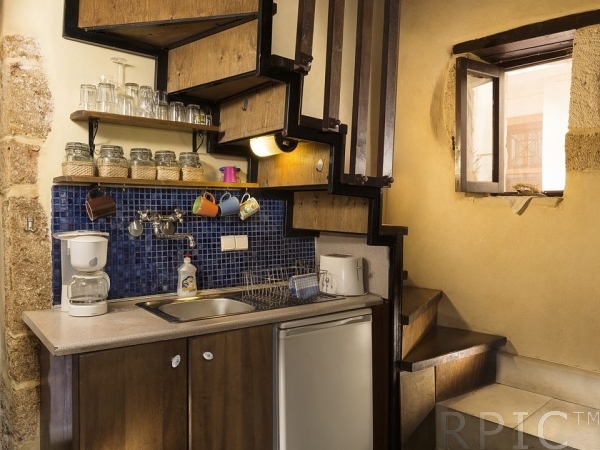 The house has two floors. 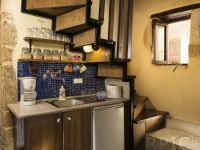 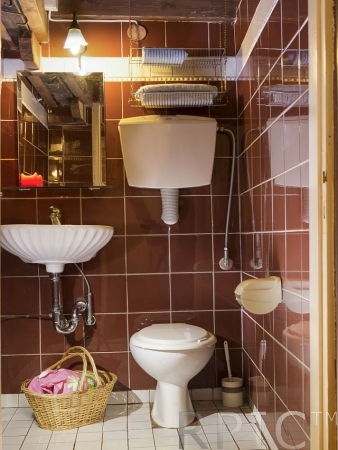 Upstairs is one bedroom, the balcony (with a small table and a couple of chairs) and bathroom, and downstairs are the kitchen/sitting room and a rare and historic Turkish “hamam” – the religious bathing area – rebuilt for today’s needs as a luxurious blue-tiled shower. 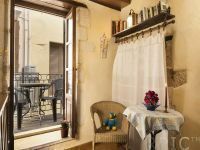 It is furnished with a double bed, a single bed, table and chairs, a small kitchen area, and has air-conditioning plus electric heating for the colder winter months. 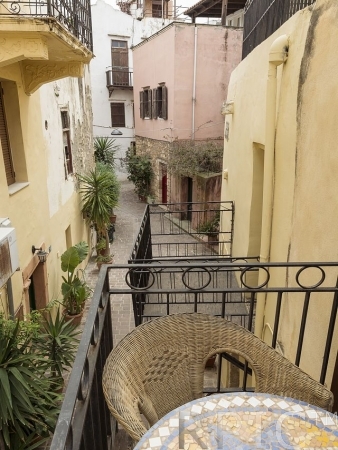 There is a private walled roof-terrace at the top of the house for relaxing and sunbathing – access is by a steep wooden ladder, so not for the infirm! The house is suitable for a couple with one child, and is just a stroll away from the lovely beach of Nea Hora. It is very comfortable, and suitable for renting at any time of the year, winter or summer. 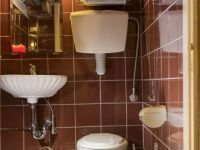 We provide full services too, including use of our washing machine, and of course inside cleaning. 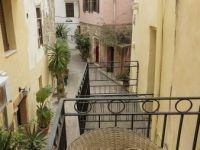 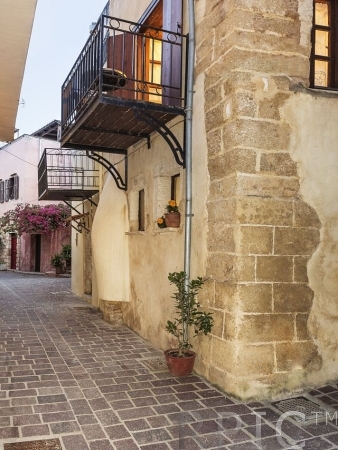 In the Old Town of Chania, close to the harbour-front in the old Jewish quarter, a particularly picturesque and historical part of the town, you will find the “Old Stone House”. 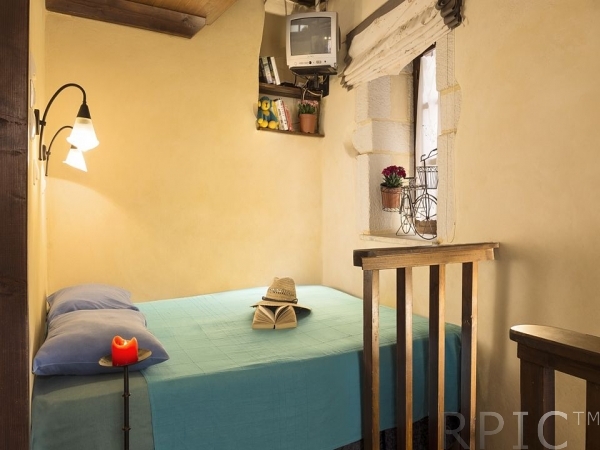 This is a charming small home with an exterior dating back to early last century. 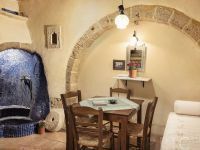 The interior has been beautifully refurbished to take account of the needs of today without losing the ambience of the past. 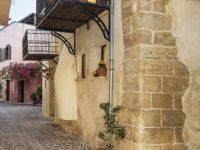 As you explore the delightful alleyways and back streets of this area, you will come across some of Chania’s finest architecture.